Yep, just as you would expect. This works the same way in Excel and PowerPoint as well. 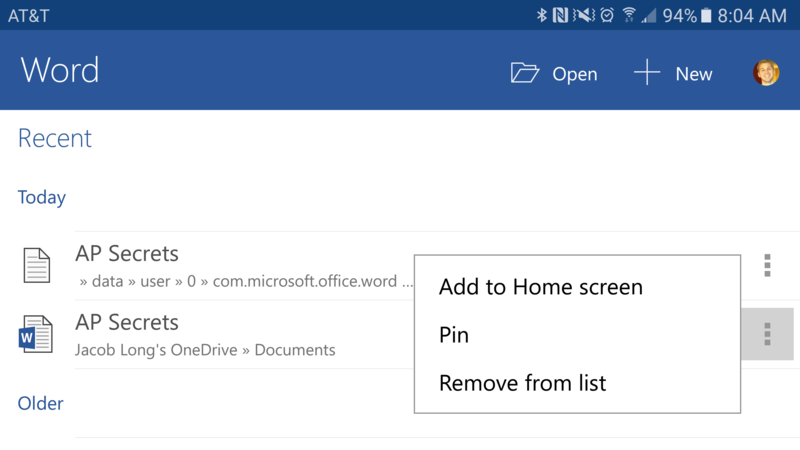 Another feature change that seems obvious in retrospect is that Word can now open *.txt files, which many of you probably assumed it did in the first place. 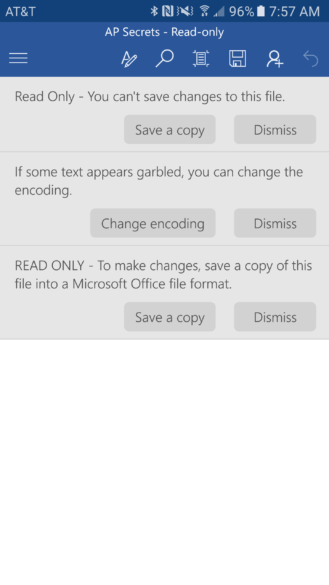 This does come with a caveat, though, because you can't edit or save them as plain-text; if you want to make changes, you must save them as *.docx. 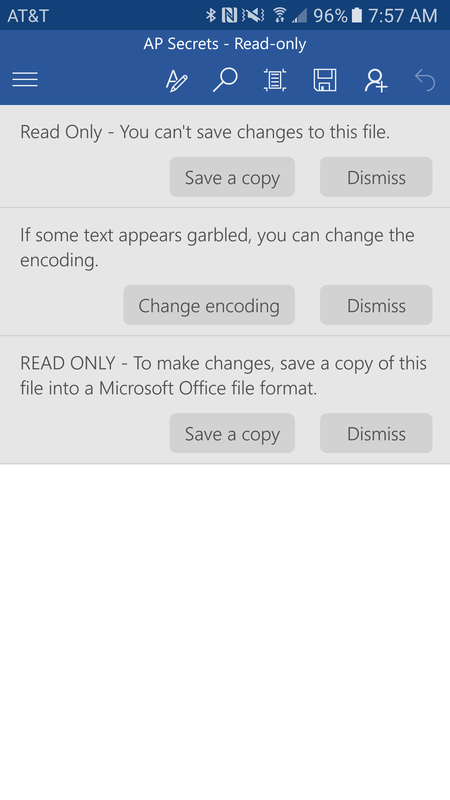 The ability to change encoding is a nice touch for the sake of compatibility as well. 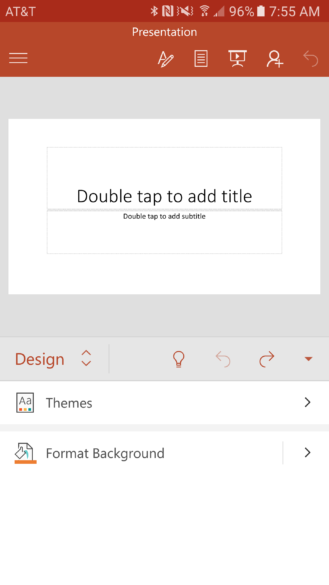 Meanwhile, the main additional highlight for PowerPoint is the added—and rather basic—function to edit the background color of a slide. 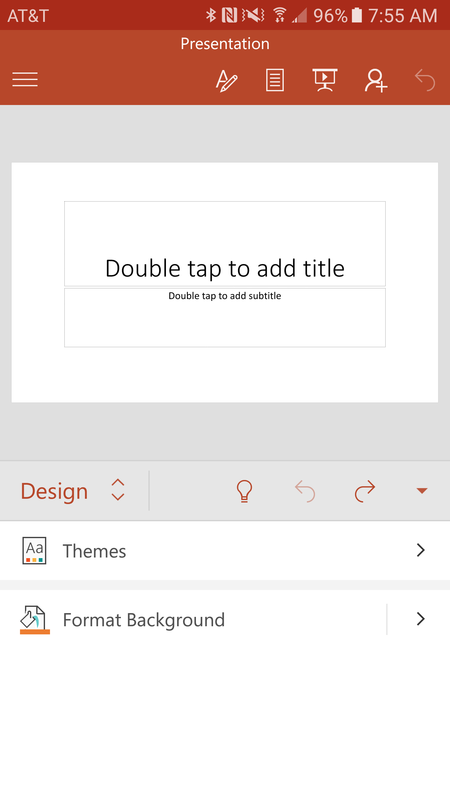 Recall that in a March update, the tablet version of PowerPoint gained the ability to change theme colors to match a supplied image. 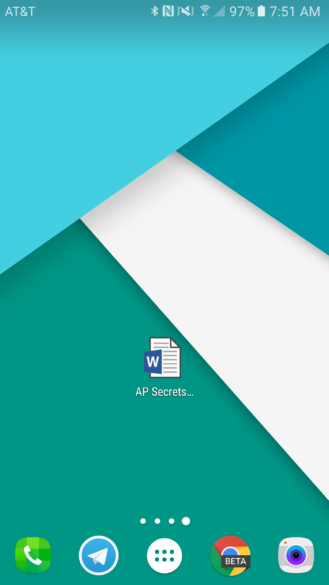 This gives you more granular control and throws a bone to phone users. View IRM-protected presentations: Now you can read presentations protected with information rights management (IRM). 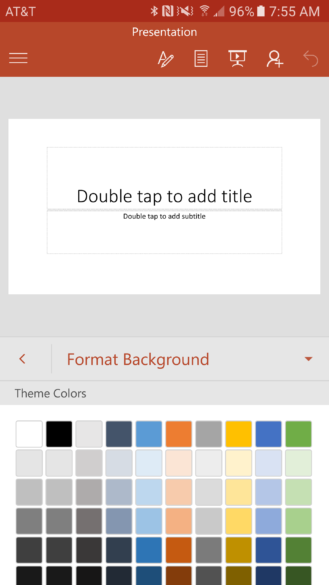 Format Background: Customize a slide by adding the background color of your choice. 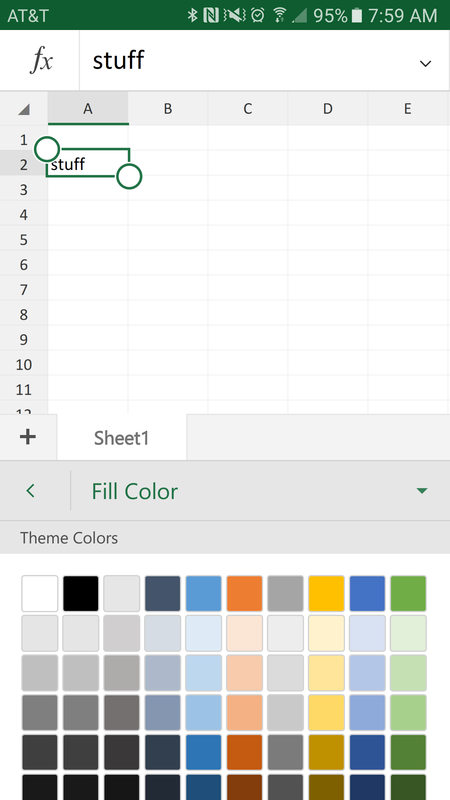 For Excel users, the main change of note is that you can now open spreadsheets with ActiveX controls on Android. Another relatively niche feature, but for a small group of people this is surely great news. That palette applies to several color formatting options, not just fill. All of these updates have started rolling out via the Play Store. If you hate waiting or the Play Store, you can grab them at APK Mirror as well.